Crew #40r2. 1/Lt Neil D. Comerford, Jr.
Photo provided by Mark Furman, all rights reserved. 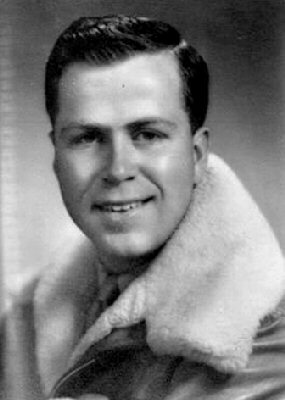 F/O Richard H. Furman (Pilot) is under the "54", along with various other members of the crew. Photo courtesy of Elizabeth Koch-Colson, all rights reserved. 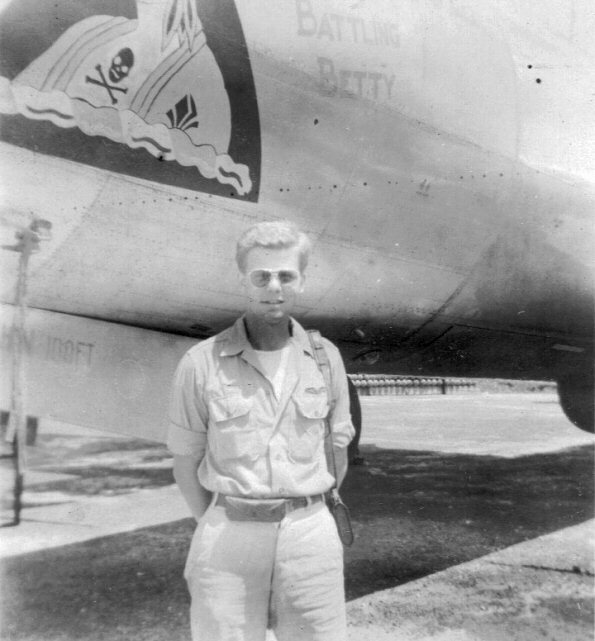 F/O Richard H. Furman (Pilot) in front of "Battling Betty". 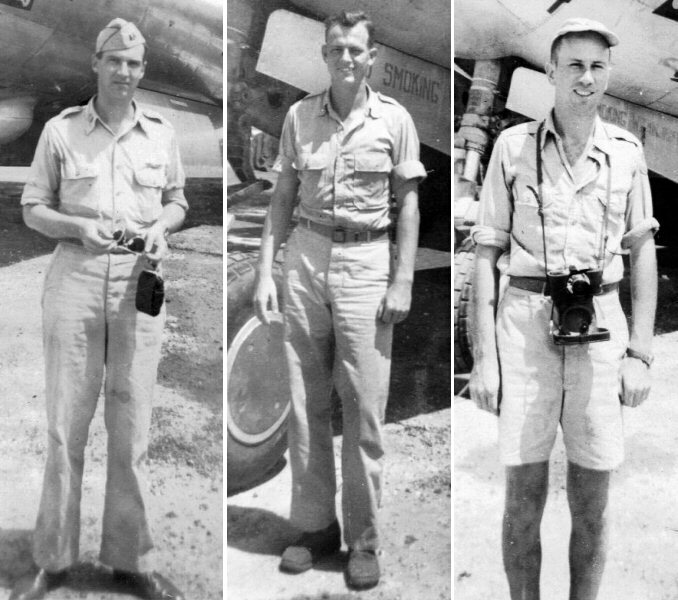 Left to Right: 1/Lt Neil D. Comerford (A/C), 1/Lt Harry Hancock (Navigator), 1/Lt Edwin C. Pomeroy (Engineer). 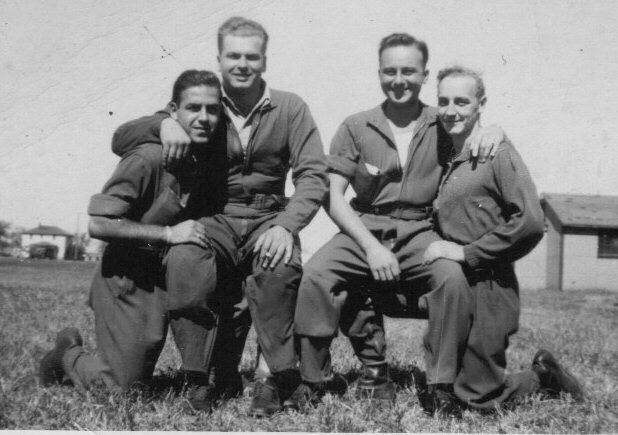 Left to Right: Sgt Sam S. Lombardo (Radarman), S/Sgt Matthew Koch (R Gunner), S/Sgt John P. De Fiore (Radio), S/Sgt Marvin L. Saltzman (L Gunner). 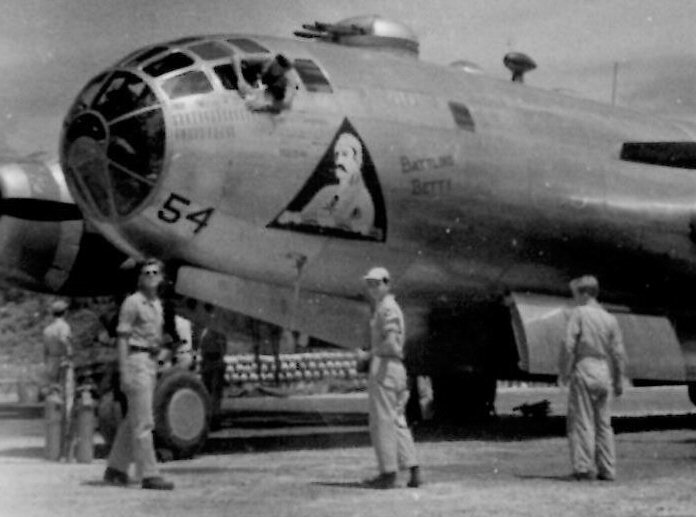 This crew generally flew "Battlin' Betty".